Every woman needs a girls night out, I really think it's been almost a year since I had a proper night out, you know the one where you spend the entire day before planning and shopping likes it's the prom all over again? LOL! 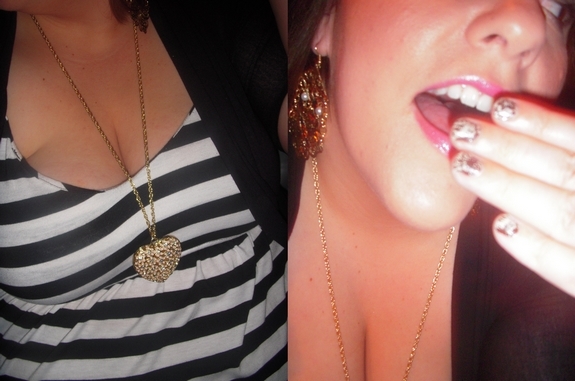 Honestly, such a great night and break from my reality of work, mommy and wifey life. I enjoyed a few extra Goose Lemondrops *wink* at my favorite martini bar in Portland, Vault *thanks Kenny for always treating my girls like VIP*. Kenny is the kindest and coolest owner ever. And, thanks to my girl Brit for being my DD, even though true to old lady style I was sober with headache by 11pm. BAhahhahahah! Honestly, Jessica! Thank goodness Tiffany, I had something fun to wear!! 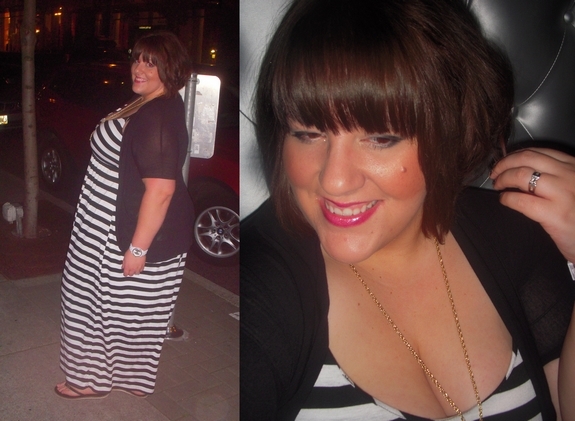 My girl Tiffany of www.onthefatwalk.blogspot.com hooked me UP with this dress! Thank you SO much Tiffany, your kindness was so unexpected and so much appreciated! I owe you girl. She sent me a fabulous Pure Energy dress from Target! My girls are the BEST! 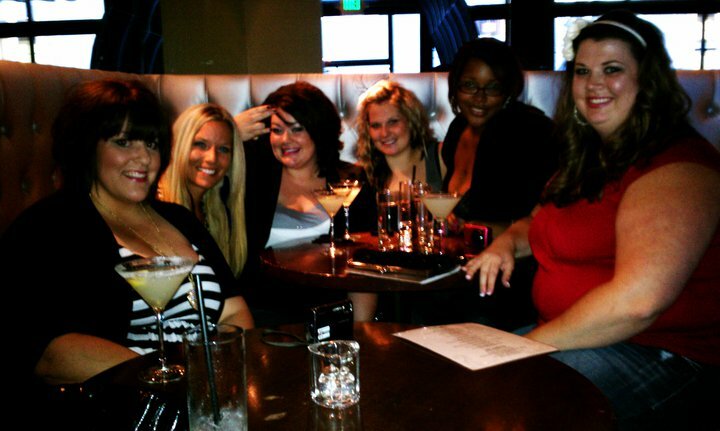 From Left - Me, Kym, Katie, Tiffany, Correia & Brit.